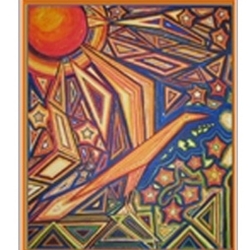 Our artistic offerings and our services are based on respect for the connection between the forces of nature and the vital currents in human creativity. Operating now as a bilingual online art gallery, Loondance Gallery / Galerie l'envol du huart offers to our personal, new and corporate clients around the world the highest quality of art from Canada and the convenience of acquiring artworks safely over the Internet. 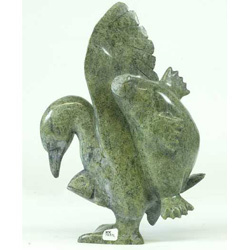 We are specialized in Inuit art: sculptures, original prints and one-of-a-kind original drawings from Cape Dorset, Nunavut. 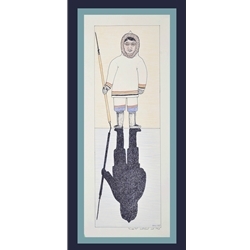 We offer a selection of original prints from other Inuit art centers in the Far North. Our inventory is composed mainly of works by contemporary artists, and it includes a sound selection of works by leading first-generation artists in the Modern Era of Inuit Art. Secondly, we present a range of original works by several established artists in southern Québec: handcrafted sculptures in bronze and in wood, original prints, oil and China ink paintings on canvas and one-of-a-kind pieces fired in clay. Loondance Gallery opened as a walk-in art gallery in December 1995 at the beautiful Mont-Tremblant resort in the Laurentian mountains. In April 2007, we began operating solely as an online art gallery. We feature thematically organized online retail shows highlighting the artists' new creations.